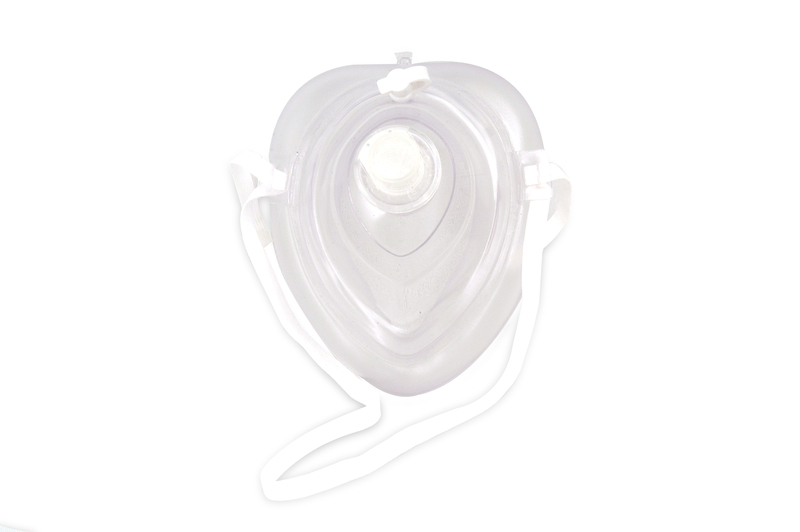 These latex-free pocket masks can be used on adults, children and infants. They come with a head strap, an oxygen inlet and a one-way valve to prevent backflow of contaminants. This is the mask that should be in most WCB first-aid kits. Each mask is individually packaged in a plastic bag.